Psoriasis causes scaly, itchy, and red skin. 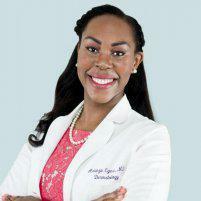 For many kids and adults, psoriasis is a painful and embarrassing condition, but the good news is that a skilled dermatologist like Adaeze Egesi, MD, at Humble Dermatology in Humble, Texas, can help you manage and prevent your psoriasis flare-ups. Book your appointment using the online tool or by phone today. Psoriasis is an inflammatory skin condition that causes your body to produce skin cells much faster than normal. This means that your skin cells quickly accumulate. In plaque psoriasis, the type of psoriasis suffered by 80-90% of all psoriasis sufferers, the excess skin cells form thickened patches and scales called plaques. Plaques usually appear on your lower back, knees, elbows, or scalp, but they can grow anywhere on your body, even inside your mouth. Other, less common, forms of psoriasis have different symptoms. In guttate psoriasis, you’ll typically have tiny red bumps on your torso and limbs. In inverse psoriasis, you’ll usually have red patches where your skin rubs together, for example in your armpits or below your breasts. In pustular psoriasis, you’ll normally have bumps that look like whiteheads on your hands or feet. The cause of psoriasis isn't certain, but research shows that genetics and the immune system both contribute in some way. If you have psoriasis, you're typically susceptible to certain triggers that cause flare-ups. Some types of medications, including antipsychotic and hypertension drugs, may also trigger psoriasis flare-ups. If you're on any medication and starting psoriasis treatment, be sure to discuss all of your medicines with Dr. Egesi so she can make recommendations that help minimize flare-ups. Psoriasis treatment helps you reduce inflammation and slow down skin cell production. This can relieve current flare-up symptoms and also prevent future flare-ups. Dr. Egesi may prescribe topical treatments like corticosteroids or retinoids. Vitamin D supplementation, which can be oral or topical, may also help your psoriasis flare-ups if you have vitamin D deficiency. Light exposure can help psoriasis in some cases, but it's important that it's highly controlled. If you need light therapy, Dr. Egesi designs a treatment plan that maintains your safety while yielding treatment benefits. 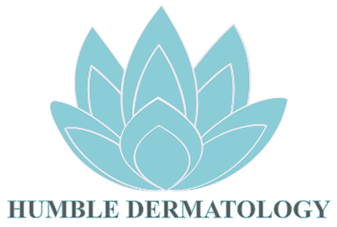 Use the online scheduler or call to book your appointment at Humble Dermatology today.